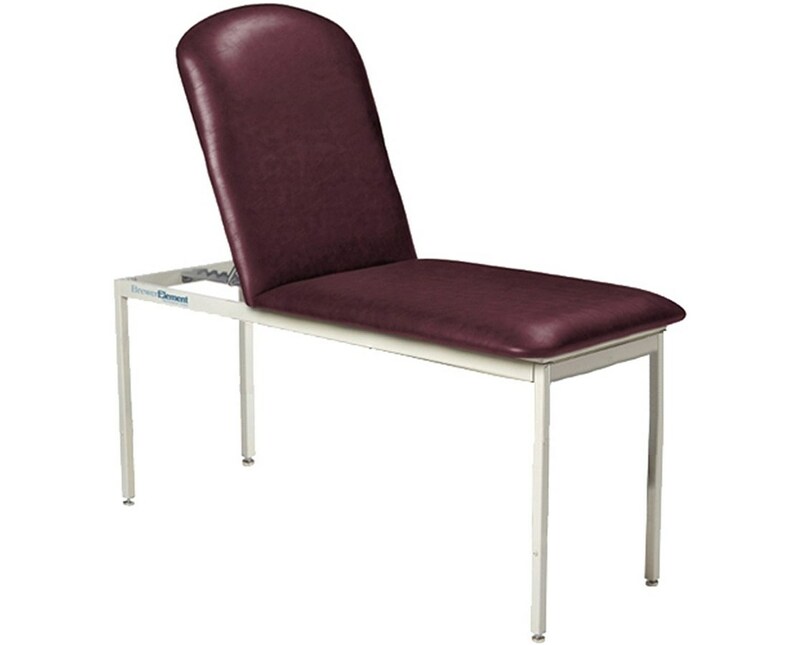 The Brewer Element Adjustable Treatment Table - Pillow Top is a versatile device that combines fundamental features designed to deliver comfort for both patients and health care professionals. Awesome Design. Made with a solid, all-steel frame, the Adjustable Treatment Table provides durability and strength that allows up to 500 lbs. of weight capacity. The table features a two-piece design for easy assembly, easy transport, and delivery. Its frame has a chip-resistant powder coat finish that makes it last longer. Patient Safety and Comfort. The table's construction features a steady placement that ensures safety to the patient. 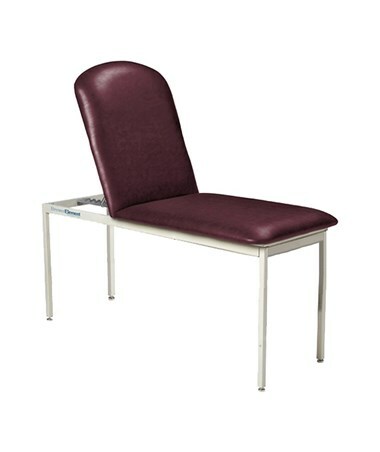 With an easy-to-clean upholstery and seamless contoured design, the treatment table has a 2" thick foam cushion for patient comfort and eliminates cross contamination. It features a standard concealed paper roll holder that is optimized for 18" or 21" table paper. Please select a top cushion and an upholstery color from the drop down menu above. Paper Holder Capacity 18" or 21"